Today was our exploration day so first we headed to Natural Bridge Caverns. There were some pretty amazing structures inside the caves and as they weren't discovered until the 60's and on private property, there is almost no damage or discolouration to pretty much all the structures. 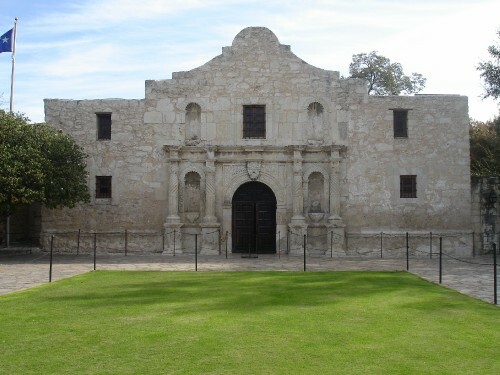 We then headed into downtown San Antonio to see the Alamo. First, we stopped at Durty Nelly's on the River Walk for lunch. We were the only people in there but the food was good and Brianna had her first ever shandy! We headed over to the Alamo and wandered around. Not much of the original structure is left standing but they give you plenty of information on what happened there in 1836 and how it shaped Texan history. Next stop was the San Fernando Cathedral, which was built in the 1700s. It is really beautiful with loads of stain glassed windows. In 2003, a man went through the Cathedral and pulled 7 of the statues down. Only 3 could be repaired and 3 others were replaced through donations. The seventh one sits in the giftshop, repaired as well as could be. We then continued on the River Walk to La Villita, the oldest part of San Antonio, and is a quaint little shopping village with arts and crafts. They also have the River Theatre, with the stage on one side of the River Walk and the open air seating on the other. It was so cute and would've been good to see a show. Further round the River Walk, we came to River Walk Mall so, we went shopping, of course. We also saw a movie (Gulliver's Travels - a bit predictable but nice and light!) and then headed back to New Braunfels, where we ate ice cream for dinner!